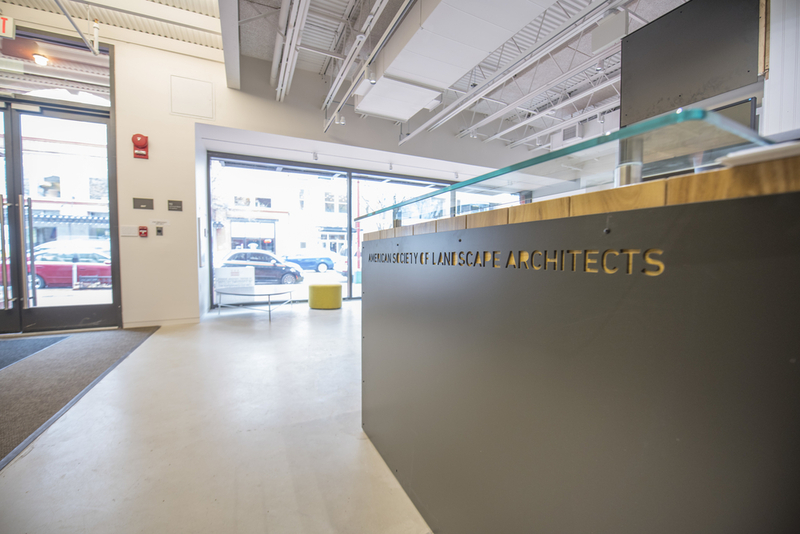 Association of Architecture Organizations (AAO): How does the new Center for Landscape Architecture differ from other architecture centers out there? Nancy Somerville (NS): Well of course, our focus is on landscape architecture. While the building architecture itself is wonderful –and has surpassed environmental goals we’ve set for the building (we are on target for LEED Platinum and Well Building Silver)—we’ve made it a priority to integrate light and landscape throughout the building to really demonstrate to the public the possibilities and the importance of integrating landscape into architecture, not just around it. This idea of existing as a living demonstration project framed many of the decisions around the renovation. Like many other centers, we have exhibit and event space, but the kind of programming we will be hosting will in large part focus on the landscape architecture profession’s priority issues from a public policy perspective, including active transportation, green infrastructure and integrating nature into urban spaces, community resilience, and climate change. AAO: The building was home to ASLA prior to its renovation. Do you think that living with the building in its earlier form helped your team unlock the Center’s potential? NS: Even before the renovation, we were proud to be a living model—since 2006 we’ve welcomed over 1,000 visitors a year to our green roof, for instance. When the roof opened, we were only the second or third green roof in D.C., so it was pretty significant. 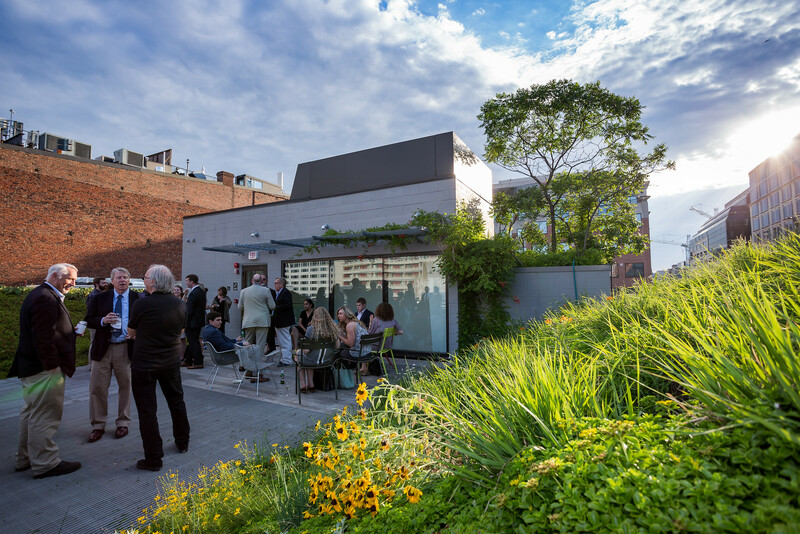 Our experience with the green roof reinforced our belief in the importance of demonstration projects—people want and need to see how something works. So we wanted to create a new Center that would be a demonstration project from top to bottom, including exterior greenwalls, a cistern to capture stormwater runoff, and gathering data in real time on stormwater capture and reuse. 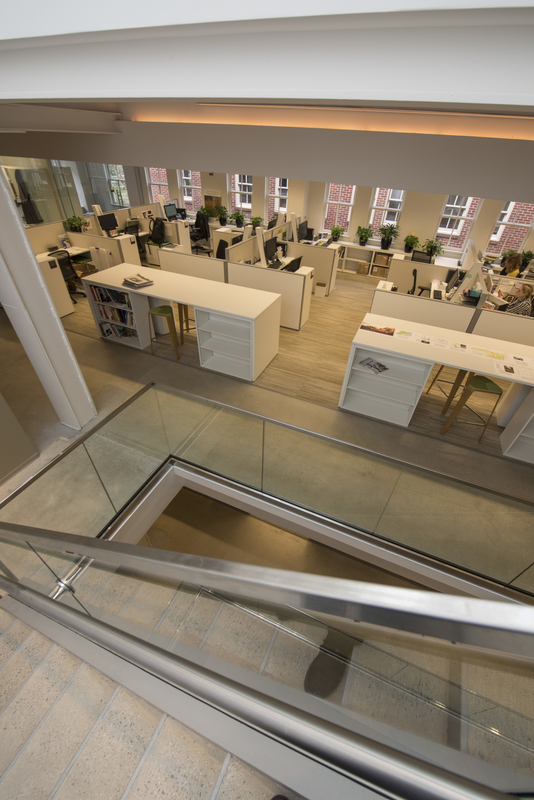 As part of our commitment to LEED and WELL, we will also be documenting building energy consumption, air and water quality, and occupant comfort. Our next project will extend the demonstration out to the street. We are currently working with the District Department of Energy and the Environment on a demonstration green and complete street project on our block of I Street. We are just about to start design development for what we’re calling the Chinatown Green Street Demonstration Project, with landscape architecture firm Design Workshop as the lead. D.C., like so many large and small cities across the country, has a serious problem with flooding and pollution caused by stormwater runoff. Green roofs are part of the solution, but streets—the largest publicly owned area of land in a city—also have enormous potential as part of the solution. Green streets, like green roofs before them, are largely unfamiliar to most people, including developers and building owners. Here again, a demonstration project can play a critical role in demystifying and speeding adoption of sustainable development practices. AAO: What does the Center allow you to do that you weren’t able to do as successfully before? NS: This new Center really expands our ability to do public outreach. Prior to the renovation we had a very small conference room and below-ground patio, which limited the programming and outreach we were already doing. We did manage to squeeze in, including congressional receptions and coalition meetings and forums around our advocacy priorities, but now we have the space for larger events/audiences and broader public education as well. 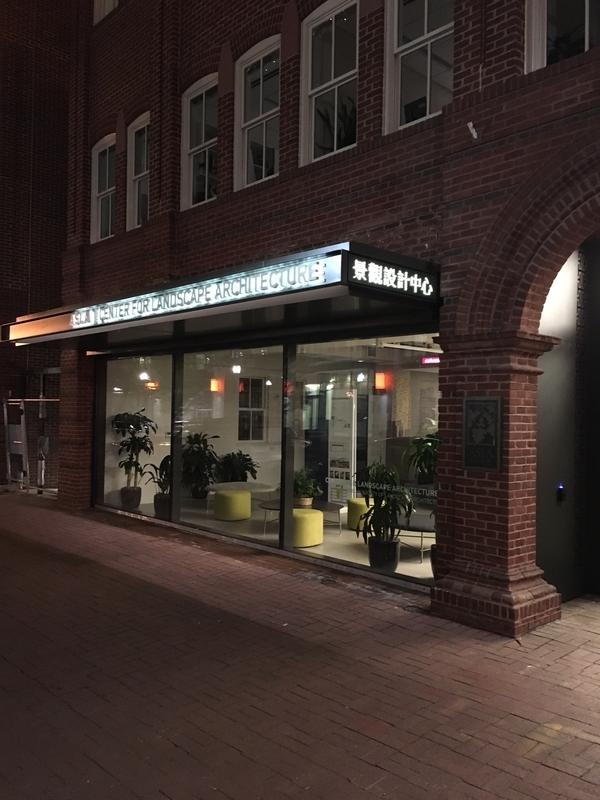 AAO: Are there new staff positions dedicated to running the Center? What are they? NS: So far we have not made any staff changes. The work involved with the renovation of the Center and with creation of the first exhibit and opening events has all been handled by existing staff. As the project evolved, we made some strategic decisions aimed at maximizing the initial impact without adding a significant amount of resources right away. For instance, early on we made the decision that the opening exhibition was going to be about the history of ASLA and the profession of landscape architecture; a significant body of knowledge about this topic was in the heads of key staff, which made the hiring of a separate curator for the first year unnecessary. Strategic partnerships, like teaming up with Freeman who did the design and printing of the exhibition, further extended our resources. Now that we are open, we can take some time to look at strategic needs around staff and resources for the Center going forward, and we will be setting more specific priorities for programming in alignment with our overall strategic plan and priorities. We’ve already had several unsolicited proposals for future exhibits, which is quite exciting. We will be evaluating those in the context of our priorities. 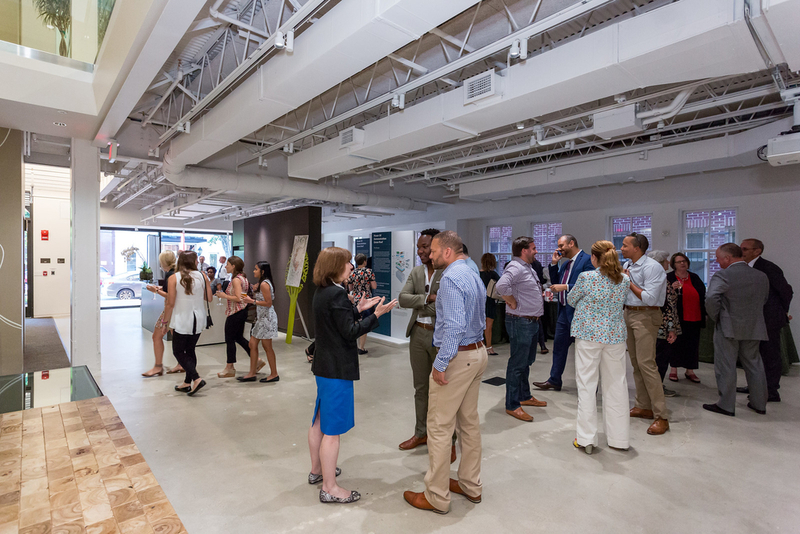 AAO: What opportunities do you see regarding collaboration with other architecture and design centers in the DC area? NS: We are still in the initial stages of opening our Center and exploring partnerships. We know that we don’t want to replicate what is already happening. Our friends at the National Building Museum, for instance, do great programs, and have they have really expanded their programming around landscape architecture, which is fantastic. We’re not looking to redo that or duplicate what they are doing—rather, our intention is to use our new space in ways to further our advocacy and public awareness goals, particularly about designing healthy, resilient cities—and really using the Center in every way to support the profession’s key priorities. All photos courtesy of ASLA.